The atmosphere, starting pitcher Matt Waldron said, was charged even during batting practice. Former Nebraska pitching legend Shane Komine was back to throw out the first pitch in front of a crowd outfitted with hundreds of Komine bobbleheads, the weather was as nice as it’s been in recent memory (78 degrees at first pitch) and the Huskers were looking to wrap up a series early for the first time this season. Then a third-pitch pop-up over the Huskers’ dugout caught some wind and came back into the field. Shortstop Angelo Altavilla couldn’t track it and the ball came down striking him in the mouth. Altavilla left the game and Brison Cronenbold replaced him at shortstop. Head coach Darin Erstad said Altavilla will undergo surgery on his mouth and jaw. 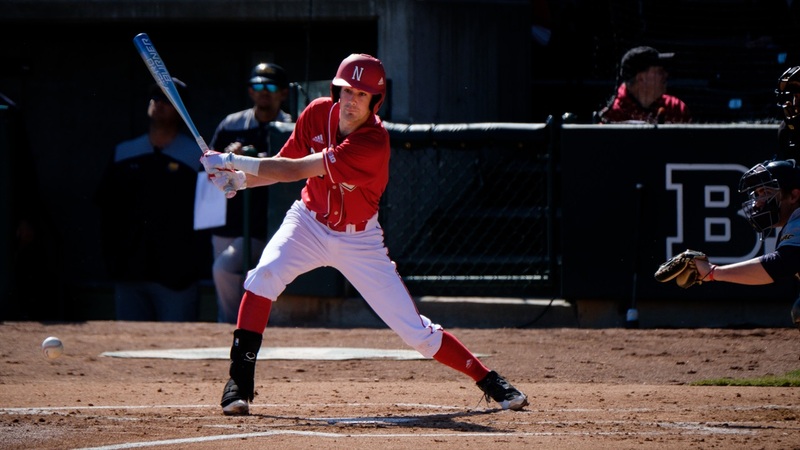 Another bad start should have been in the cards, but for the second day in a row, the Huskers (19-22, 4-9 Big Ten) strung together a consistent performance to take a 9-6 win and earn a nonconference series victory over Nevada (21-18, 14-6 Mountain West). Nebraska scored twice in the bottom of the first to take the lead. When Nevada tied it in the next frame, the Huskers responded with another two of their own. Nevada plated one in the fifth, the Huskers brought three across when it was their turn. The Wolfpack trimmed an 8-3 lead to just two in the eighth but the Huskers added an insurance run and took care of business in the ninth. Fitting that on a day a pitching legend was honored, pitching was key for Big Red. “Threw the ball really well,” Erstad said. “No walks on the mound, a couple mistakes defensively but overall a pretty good effort. Waldron went six strong with seven strikeouts and only three earned. For most of the evening, he pounded strikes (68 of his 89 pitches) and forced Nevada groundouts. Senior Matt Warren replaced him and got into trouble with four hits and three runs surrendered in just 1.2 innings of work, but senior Jake Hohensee closed the final four outs with two punchouts against one hit. Senior Scott Schreiber homered in the second, his 15th of the season and 41st of his career, tying him for sixth-most in program history with none other than his head coach. Cronenbold was just as productive with two hits (one of them an RBI double), two walks and a score of his own. Cronenbold said he was expecting to get the day off, but it was a little easier coming in early as opposed to late. He also admitted he was a little more juiced knowing Komine, the guy whose picture he walks by every day, was in the building. The offense came in spurts, the pitching was good when the Huskers needed it to be and there were only two errors on the day (Nevada had three). All in all, it was one of those all-around performances Erstad has been looking for. Now they want to close things out with their first series sweep of the year Saturday, a 12:05 p.m. first pitch. Erstad said the approach won’t change and he won’t tell the team anything different. He deadpanned that if he did, they wouldn’t listen.